Here are some of the best deals of the day on smartphones like the Vivo NEX, Realme U1, Honor Play and more. Amazon kicks off the Fab Phones Fest promising up to 40 percent discount on mobiles and accessories. Thanks to the Amazon India sale, you can pick up some of the popular phone models that we can recommend. Of course, there is a bit of a catch in this sale. Most phones come with a 5 percent discount only by using SBI Credit Card for EMI transactions. Only select phones are eligible or the No Cost EMI option. Besides that, the Appario Retail seller is offering an additional exchange discount on a few handsets. So you’ll have to use both the offers to avail the maximum discount. Here are our hand-picked smartphone deals of the day. Honor Play is one of the best all-round performance delivering smartphone. 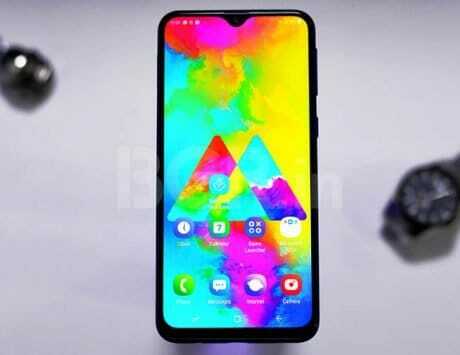 Its 6.3-inch FullView Full HD+ display looks fantastic even with a notch. Honor provides Turbo GPU and 4D gaming experience with 7.1 channel audio bringing the AI crazy shock scenarios. Best for mobile gaming, the Play also features a 16-megapixel selfie camera and a dual rear camera pair with EIS and AI-powered features. You’ll get an extra Rs 1,000 off on Exchange offer if you buy the phone from Appario Retail seller. Also, you can avail 5 percent cashback on SBI Card EMI transactions. Thankfully, No Cost EMI option (3 or 6 months tenure) is available for the Honor Play. Vivo’s top tier NEX was the first to feature a pop-up selfie camera, and it also included an in-display fingerprint scanner. The phone’s front fascia features 6.59-inch Super AMOLED screen and leaves a minimal bezel on its chin. The dual pixel rear camera consists of a Sony image sensor and offers 4-axis OIS to capture better images without blurs or shakes. The Vivo NEX is your best bet at Rs 30,490 if you use SBI Credit Card to buy it on No Cost EMI and choose Appario Retail seller to get Rs 8,000 flat off. Honor View20 is one of the modern phones with a full view display and an in-screen 25-megapixel selfie snapper. At the back is the AI-powered 48-megapixel camera that is capable of clicking fantastic photos and 4K videos. You can buy Honor View20 for Rs 32,499 final price after 5% discount with SBI Credit Card on EMI transaction as you can enjoy the No Cost EMI on the phone. Also, you’ll have to buy Honor View20 from Appario Retail seller for getting Rs 4,000 extra off on Exchange offer and Honor AM61 Sport Bluetooth Earphone for free. LG’s V40 ThinQ sports a gorgeous 6.4-inch P-OLED display that’s a delight to watch 4K videos or edit photos. The phone features a triple rear camera with a triple shot, dual PDAF, OIS+, and dual selfie camera. Though it looks delicate, LG has constructed it using military standards to resist shocks and also made it water and dust resistant. LG also throws in the DTS:X Surround Sound capability for top quality audio output. You can pick up the LG V40 ThinQ for Rs 38,490 after combining two offers. First, you need to use SBI Bank Credit to buy it on No Cost EMI to avail 5% discount and ensure that you pick Appario Retail as the seller to get an extra Rs 10,000 off on exchanging any old working phone. With that, you’ll also get a one-time free screen replacement worth Rs 16,750 which will be valid for six months from the date of purchase. Honor 8X classy phone featuring a tiny notch to hold a 16-megapixel selfie snapper and offer a seamless display experience. The border-less display is bright enough to be visible under the sunlight. Its design emits a visual grating effect from the glass body consisting of anti-glare film. This dual VoLTE supporting phone comes with an intelligent battery-saving system that lets the phone run for a day without worries. Of course, the dual AI cameras at the rear come loaded with several imaging modes. Honor 8X is selling for Rs 13,999 at Amazon. If you want to buy it on EMI, then you’ll get 5% instant discount on the listing price and will have to pay the interest on it. Sorry, no cookie for No Cost EMI on this phone. Realme U1 is a budget phone with several top-tier features such as the waterdrop notch bearing full-screen display. It also equips the AI-powered 25-megapixel selfie camera on the front and dual rear camera for imaging enthusiasts. Its 6.3-inch Full HD+ display is enough to enjoy videos and photos. 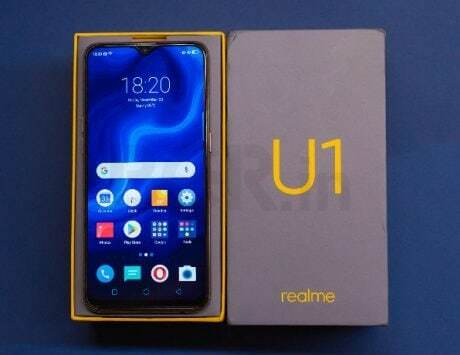 The Realme U1 is selling at Rs 8,999 after flat Rs 1,000 discount on all major credit and debit cards. You can also buy this phone at No Cost EMI offer.